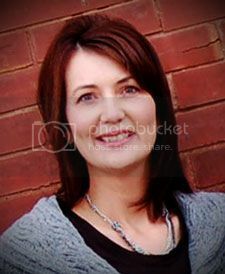 Hey everyone, the incredible Betsy Veldman is back today to show you the rest of her projects from our January release. Scroll down one post to see what she did yesterday! 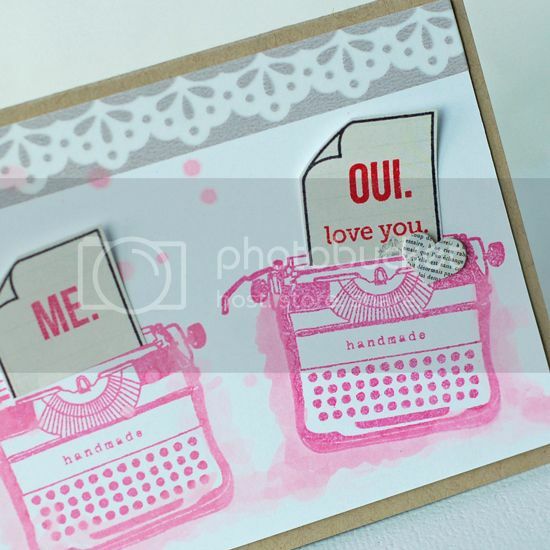 Betsy created a beautiful watercolor card using the typewriter image from Type It. 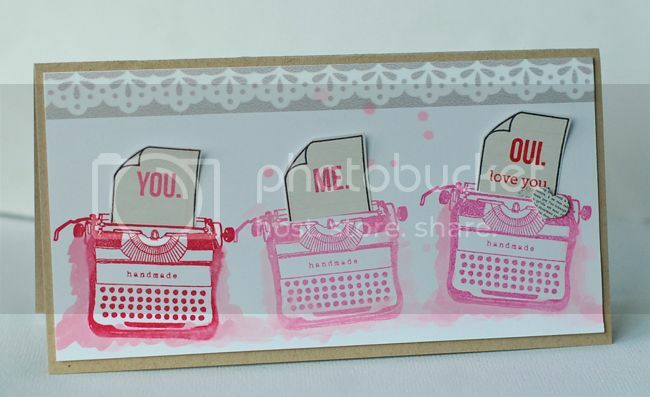 I love that she created 3 separate typewriters and broke up the You. Me. Oui. sentiment from Smitten. Really cute idea! It's as beautiful as it is cool! Did you notice she stamped the sheet paper stamp on a notebook type of patterned paper. Very pretty! Betsy really stretched our stamps and made them even more functional by selective stamping and separating sentiments. The arrows work so fittingly! What a great collage card! Look at all the details! Such pretty cards and she makes them look so effortless! Thank you so much, Betsy!!! Betsy is SOOOOOOOOOO amazing! I LOVE these cards! I esp. 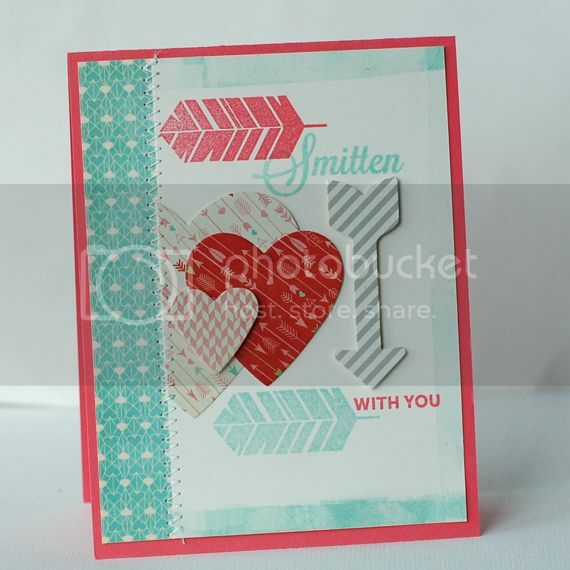 love her use of that feather stamp! FUN FUN FUN!